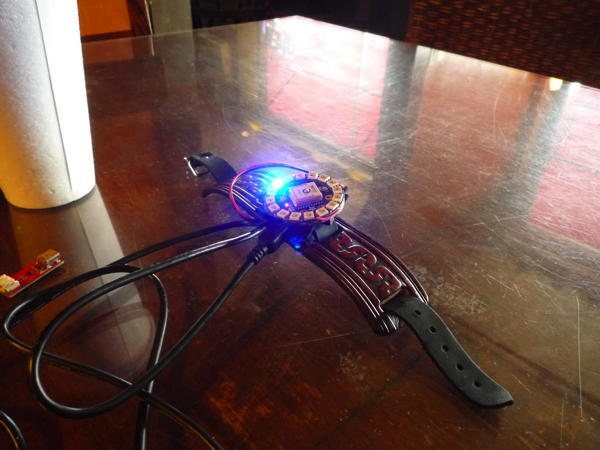 Shae Erisson’s NeoGeo FLORA Watch #WearableWednesday « Adafruit Industries – Makers, hackers, artists, designers and engineers! 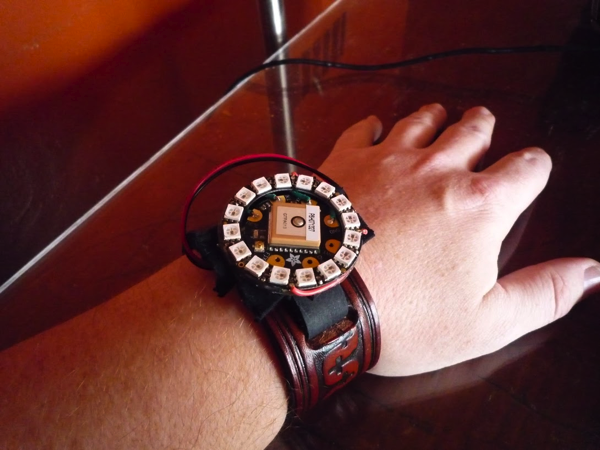 I built myself a GPS watch from +Adafruit Industries parts and tutorial. Not pictured in this photo set is the watch mode that uses lights of two different colors. Only downside is that 110mAh battery lasts about three hours. I hope to add a knock-knock activation that turns on the watch display for just a few seconds, after which it goes back to sleep. Even with that kind of power saving, I may just need a larger battery to get a full day’s worth of use. The only problem I had is that the use of binder clips damaged the last NeoPixel on the ring somehow, I’d suggest the use of something else, grocery rubber bands maybe?